2015 was a challenging year for us, with hubby's surgery and many weeks of daily radiation treatments. In spite of that, or maybe because of it, there have been moments this year that have grabbed my heart. Moments that I want to imprint on my very being and never forget. The summer visit with our children, and the different relationship I have with each of them now that they are adults. Our son's wedding when we added another daughter to our family. Watching marriages mature and just get better with time. Sweet hugs from our grandchildren. An evening around a bonfire as we made s'mores and sparklers and blew bubbles by firelight. May those memories never fade. January and February were a blur. The only items on our calendar were doctor appointments and tests. 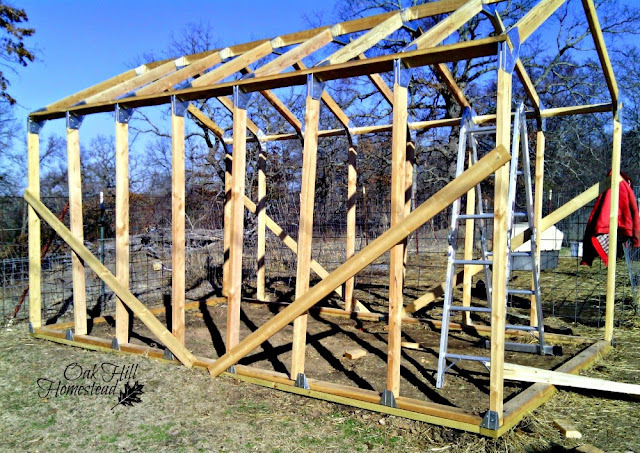 We did get the framework of the new goat shed up, working in short periods of time, but it stood like this until June when our sons-in-law visited and added the sheathing. The goats kidded in March: three doe and two buck kids. I sold them quickly as bottle babies since hubby's surgery was imminent and I needed to make life simpler. The plum trees bloomed and I was thankful to be reminded that no matter what's happening in our lives, the seasons change just as they're supposed to. In April one of our daughters traveled home to help while hubby had his surgery and recovered. I was thankful for her help and her company. We celebrated my blog birthday in May with a week of giveaways. I got the herb garden going again, and planted the vegetable garden. My lack of attention to the vegetable garden resulted in a jungle that I mostly abandoned in midsummer. I worked hard inside the house getting ready for our summer company. In June our children and their families came home for our son's wedding. It was wonderful to have a houseful of family and grandchildren. Our sons-in-law helped with several projects while they were here: they cut down a dead tree that threatened the horse barn, fixed the brush hog, and finished sheathing the new goat shed. I killed three black snakes in the duck coop. 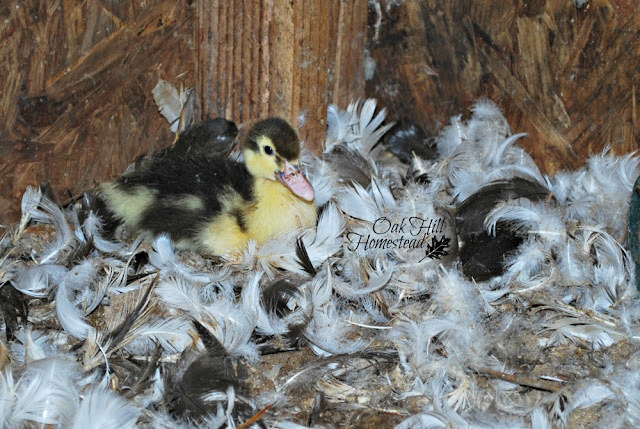 The Muscovy ducks hatched one duckling. 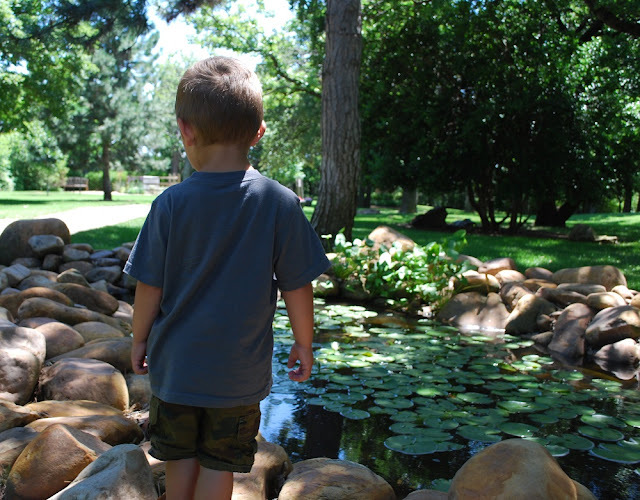 July included trips to the zoo and other fun places with our grandchildren before they went back home. 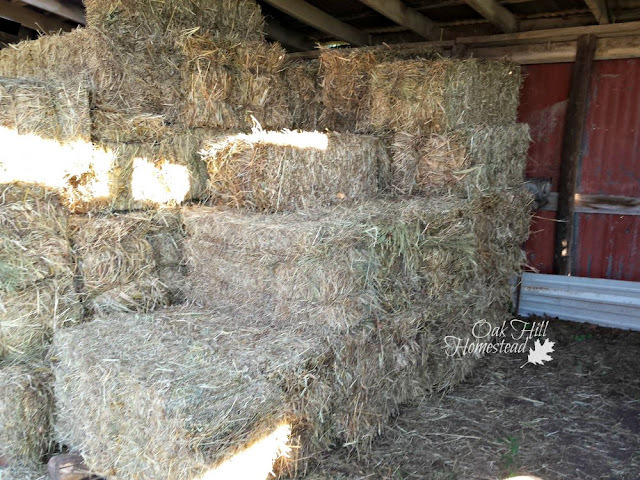 Then we bought half of our winter hay; I unloaded the trailer and stacked it by myself this year. We celebrated our wedding anniversary. In August we bought the rest of our hay. We tore down a large metal shed in return for the materials. One of the horses went to a new home in September. We bought new chicks in October, butchered the pigs and rebuilt the chicken run. Another horse left in November. I've been downsizing in some areas, and expanding others such as the chickens and the garden. Our first frost this year was quite late, on November 13th. 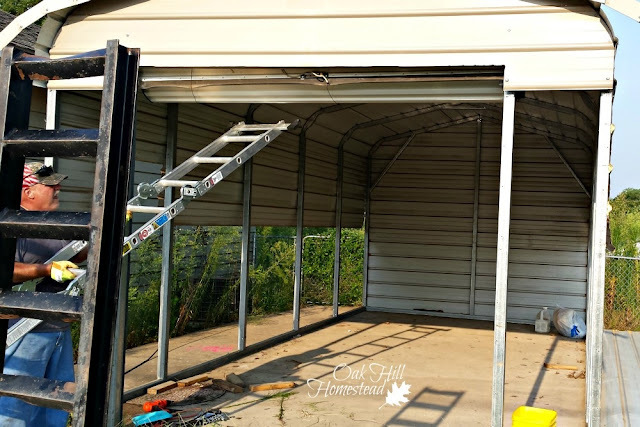 I guest posted about my off-grid chicken coop at the Essential Homestead. December - our weather continued to be mild right through Christmas Day and we've been taking advantage of it. I've been working on the raised beds for the expanded garden and helping hubby work on the metal shed. The weekend after Christmas brought a major rain storm that dropped seven inches on us and then changed to sleet and slush on Monday. Winter has arrived with a vengeance. 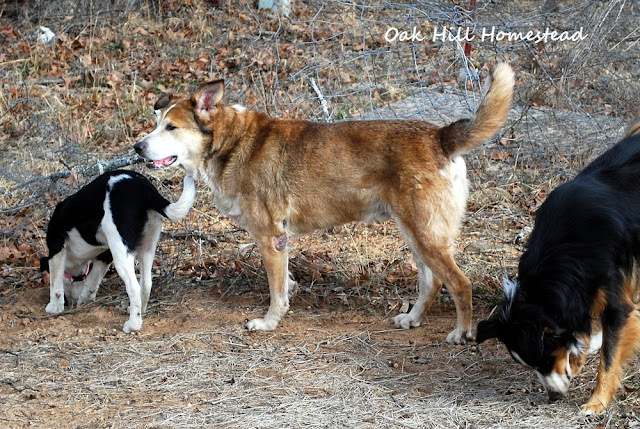 This year we also said goodbye to a sweet goat, one of my housecats and to the last one of our kids' childhood dogs. I'm thankful for another year at Oak Hill, and hopeful for the year ahead. I have quite a long list of goals and projects for next year, things that I hope we'll be able to accomplish with the Lord's guidance. Thank you for joining me on this homesteading journey. I am so thankful for your comments and your encouragement, and especially for those of you who said you were praying for us this year. Thank you all for being here! Sounds like you had quite the year! We lost a goat this year, too. Sad, but time marches on. It's definitely "been a year" Jamie. I'm sorry about the loss of your goat. It's never easy. Kathi, I'm sorry for the hardships you and your husband faced, this year. You've been in my prayers, and you've been an inspiration. Through it all, you've thanked God, in everything, and you've reminded us all just how important that is. I personally, have taken it to heart, quite deeply. I've started my own gratitude journal, largely because reading your posts has encouraged me, and reminded me that I have much to be thankful for, as well. For this year, I wish you *just barely* enough trials to keep you taking great joy in the blessings, and not one iota more! I hadn't realized you'd been selling your horses. I'm so sorry you had to make that choice. I know they were dear to you. But, at the same time, you got to keep your sweet hubby. I'd choose my hubby over a horse or two, any day! You'll both be in my prayers, in the coming year, as always. Happy New Year, Kathi! May God bless and keep you, through it all! Carla, I still have my most-favorite horses and I hope to keep them for as long as I'm able to care for them. Thank you so very much for your prayers over the past year. I'm so thankful that my words have been encouraging to you and that you've started a gratitude journal. I love that: "just enough" trials so we can appreciate the blessings! What's that saying, without rain we can't appreciate the sunshine. May God bless you this new year. Thank you, Margy. I'll come check it out. Thanks for the recap of 2015. Thanks for sharing at My Flagstaff Home! The bountiful blessings! What a wonderful year. I pray that you have a wonderful new year as well. 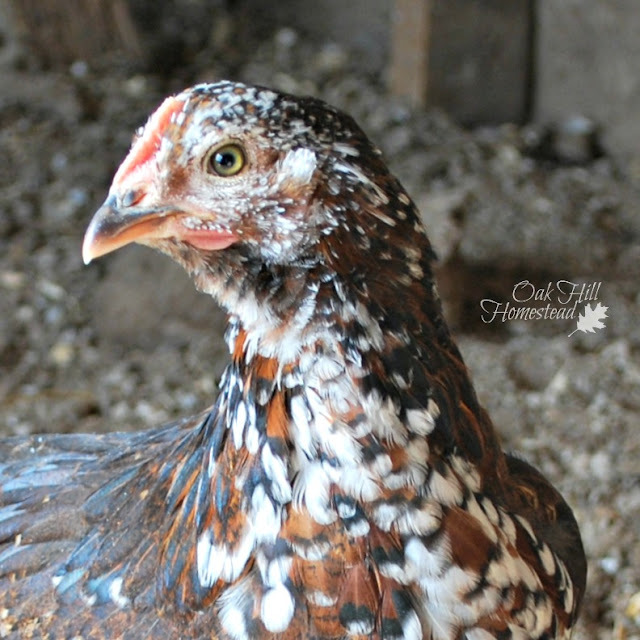 Thanks for always sharing on the Homestead Blog Hop every Wednesday. We love seeing your work on there. Thank you, Kelli. I hope you have a wonderful new year too. So glad that hubby got through his surgery. It's wonderful to feel that family support. So many milestones in one year! It's sometimes a wild ride, but we just keep on riding it, don't we? Thank goodness for the great memories. Thank you, Daisy. Yes, family support is truly a wonderful thing and I'm so thankful that our daughter came to help out. Life is definitely a wild ride and as the saying goes, "just keep swimming!" Sounds like an up and down year but then, I think most of the time we all have them. Here's to a calm and fun new year. Betty, you're right that most years are up and down. There are always bright spots if you look for them! Thank you, Jes. That's all I ask! I'm dropping by from the blog hop on the (Mis)Adventures of a Born Again Farm Girl. Oh my! You've had quite the year. I hope all is going well with your husband after his surgery. 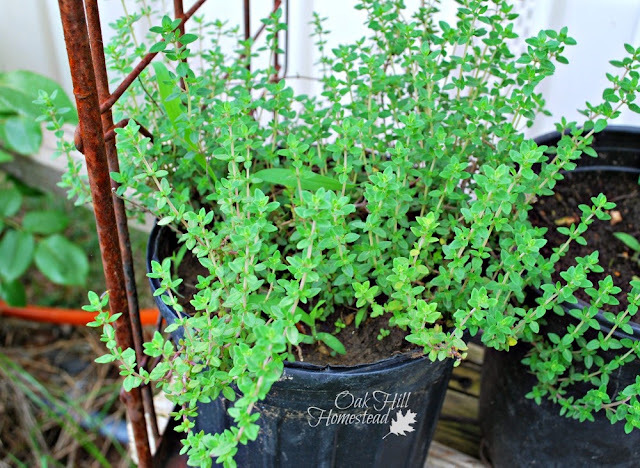 I've enjoyed reading your blog and your homesteading adventures! After WWII, my father got in on the Homestead Act for those who served in the military. He got a homestead in Idaho which is where I grew up. 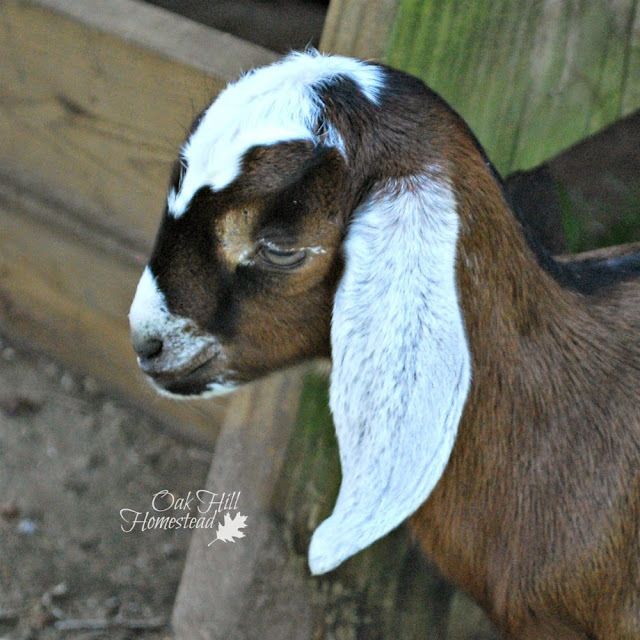 Gotta love homesteading -- but we never did have goats! Thank you so much for sharing your homesteading journey with us at the Hearth and Soul Hop this year. Happy New Year to you and yours, Kathi. I hope your husband is feeling much better and that he will enjoy much better health this year. I really enjoyed reading this post, and the photos too! Thank you for being a part of our Hearth and Soul Hop. Thank you for the good wishes, April. What a busy and blessed year! I am thankful you shared it with us over at Country Fair Blog Party, and can't wait to see how the new year is going for you in our February link up!